Some case discussion groups have the luxury of preexisting rapport, having already achieved affiliation and understanding. But for ad hoc or online case discussion, case-based learners may find it difficult to share honest opinions, making it hard to reach collective understanding on sensitive issues. Professor Charles Nesson has developed an exercise to tackle the Elephant in the Room. This activity, designed for Nesson’s JuryX MOOC but replicable in other in-person and online settings, plays with the spectrum of privacy to broach sensitive and deeply personal issues at a supportive pace. The exercise begins with an acknowledge of affinity—the group has something in common, some reason for convening that is ripe with the potential of community. This perspective can give participants the sense that rifts can be overcome. It rules out the notion that a change in dynamic is impossible. Together, but without the trappings of identity that can skew actions and judgments, the group identifies the thorny issue. But it is still too dangerous to touch. 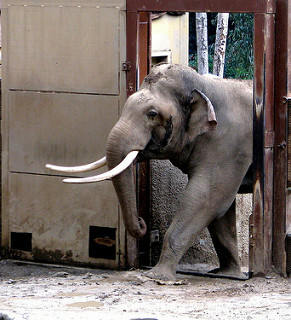 Anonymously, participants then share their fears about the Elephant in the Room—why it is hard to talk about, what might come of discussing it. On the Question Tool, participants see the thoughts of their peers, without the judgment that identity invites. They may be surprised by the commonalities that emerge or the perspectives they had not considered. These seeds of conversation and what follows may be difficult, messy, unsuccessful even, but it leaves participants wanting clarity and closure. It makes them participate and struggle through. Next, students move toward self-identification. Participants choose a pseudonym to complete the next portion of the Question Tool. Here, participants get to play with identity: how much to divulge, what context to cast on their comments, how they might be perceived. They share their hopes for talking about the Elephant in the Room. The anticipation builds. Indirectly, the group is talking about the Elephant and the ways to move forward. Finally, participants convene to discuss the Elephant in the Room. They have imagined this moment, established common ground, aired worries and objectives that open channels of discussion. Now, they participate by name, and share a personal story about the Elephant in the Room. The stories not only provide a point of entry, but set a non-confrontational tone to the discussion. It can be easy to question someone’s logic, but harder to question how someone feels. At this point, identity has more meaning; participants are more aware of the context behind the discussion. This exercise has been helpful in building rapport among online discussion groups, but it could also be used to begin negotiations or mediation between unfriendly parties, build community amid deep-rooted bias, or solve problems collectively. Instructors can access the full instructions for the Elephant in the Room module in the teaching manuals of Professor Nesson’s case studies from JuryX: The Snowden Effect; Thinking Big; The Decriminalization of Marijuana; and The Color of Police Action in these United States.